Stormwater Quality staff oversees ACHD’s National Pollutant Discharge Elimination System (NPDES) permits issued by the EPA. These permits require ACHD to implement programs to ensure water flowing off the roads and through the storm drain system is cleaned before entering receiving waters, like the Boise River. Stormwater Management Programs outline ACHD’s commitment to NPDES compliance and improved water quality through programs for public education and outreach, illicit discharge detection and elimination, erosion and sediment control, stormwater monitoring, investigation and monitoring of dry weather flows, outfall inventory and inspection, and promoting green stormwater infrastructure. Temporary Highway Use (Right--of-Way) Permit and other plans and permits depending on the activity performed. Requirements for Dewatering Permits of uncontaminated water vary depending on the situation. Analytical testing, site specific narrative and map detailing project may be required. The Monitoring Program consists of several monitoring projects throughout Ada County to comply with NPDES permit requirements. These monitoring projects provide information on the quality and quantity of stormwater and non stormwater flows, like irrigation and groundwater that discharge from the storm drain system into the Boise River and other surface waters. 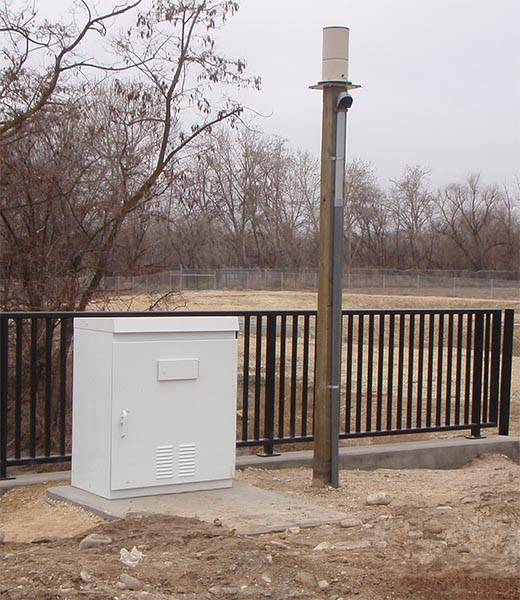 ACHD currently operates eight stormwater monitoring stations – six in the City of Boise, one in the City of Eagle, and one in the City of Meridian. Monitoring stations have equipment that measures flow in the storm drains and collects samples of stormwater when it rains. A network of nine rain gauges provides local precipitation data to support the monitoring efforts in these areas. ACHD reports annually on the various programs implemented to comply with NPDES requirements. In addition, program plans have been developed and are updated regularly. GSI refers to stormwater systems and practices that use or mimic natural processes to infiltrate, evapotranspire, and/or reuse stormwater runoff on site. The GSI techniques address both the quantity and quality of stormwater runoff to achieve surface water quality improvement. ACHD monitors four GSI projects in downtown Boise. Three of these projects are alleys retrofitted with permeable pavers and one is a stormwater tree cell that receives stormwater from the roadway. These systems are monitored to determine the effectiveness of reducing runoff and thereby reducing pollutants discharging off site and also to evaluate maintenance needs of the systems. 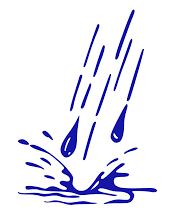 Stormwater is water from rain or melting snow that does not immediately soak into the ground. Instead, stormwater flows across hard surfaces such as concrete, asphalt pavement, or roofs and can pick up pollutants like lawn chemicals, automobile oil and grease, airborne dust and sediment, and pet waste. Unlike the water we use in our homes, stormwater does not go to a wastewater treatment plant. Instead, stormwater flows directly to the Boise River or seeps into the groundwater. Dumping substances into the storm drain is against the law. If you see someone dumping a substance down a storm drain, get as much information as possible. Location, time of incident, and any identifying characteristics of the vehicle or company involved (if applicable) so the problem can be responded to effectively. If you have a blocked storm drain, contact ACHD Maintenance at 208-387-6350.